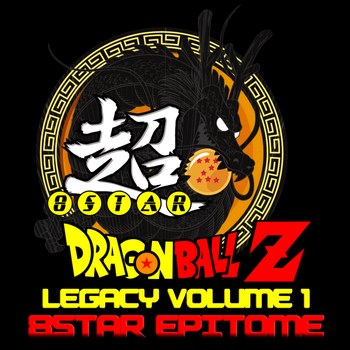 La série Legacy of DBZ est la collection de musique ultime faite par des fans de Team Four Star, de HalusaTwin, de Kojisan, d'Ergoraptor, d'Elezied, de Kajetokun, de Goukisa, de DJ Almer, de Trixen, d'Ali Nadem et bien d'autres! Dragonball Z (c) 2003 - 2017 BIRD STUDIO/SHUEISHA, TOEI ANIMATION. Licensed by FUNimation (R) Productions, Ltd. All Rights Reserved. Dragon Ball, Dragonball Z and Dragonball GT and all logos, character names and distinctive likeness thereof are trademarks of BIRD STUDIO/SHUEISHA, TOEI ANIMATION and AKIRA TORIYAMA. This is a fan-made non-profit collaborative release. 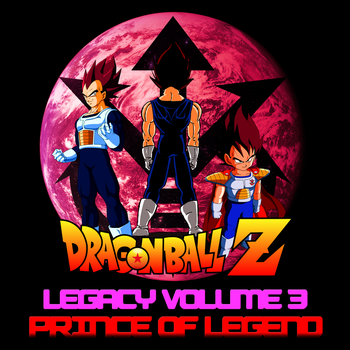 Publié dans The Legacy of Dragonball Z Bande sonore #3 - "Prince of Legend", mettant en vedette Hell's Bell's Remix. FEEDBACK BIENVENUE! J'ai créé cette musique et plus encore, gratuitement pour la communauté. Prendre plaisir. Does a machine like yourself ever experience...FEAR? Oh yes, the ultimate tub of lard, bucket of bolts! I think you have an oil leak, what a bad deal. Despicable! What a useless machine. You're very true to your word. But NEVER can be a long time Android! You seem like you're under a lot of pressure. Still think that you can hang on long enough to steal my energy? I. Will. Never. Let. You. GO! Yes! That's the spirit Android! You're the one who started this game. And now you don't want to play anymore? So we could give him a proper burial. You're going to have to finish what you started. Time has run out for you, Android. A little going away present for you!! It's over 11 000 !! Je me suis permis de fusionner tes 2 sujets. Pas la peine de créer un topic pour 1 musique sinon ça fait doublon. Merci de bien vouloir poursuivre sur celui-ci. DBZWarrior17 Première Chansons Album Review Video! 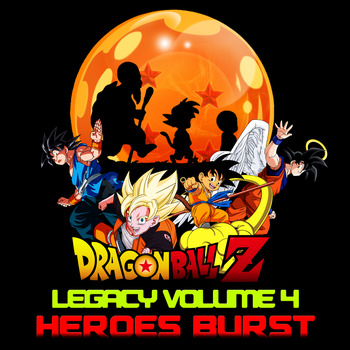 Première vidéo d'avis pour Legacy of DBZ Albums, les meilleurs choix DBZWarrior17! Suivez sa chaîne et de superbes discussions quotidiennes DBZ, critiques et vidéos de gameplay. 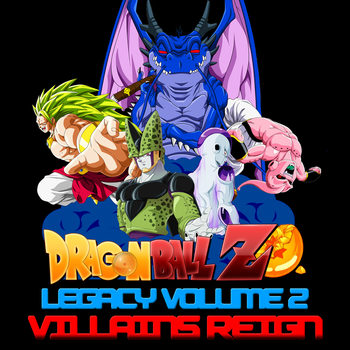 Publié dans The Legacy of DBZ Bande sonore #2 - "Villains Reign", mettant en vedette Halo Theme Mjolnir Mix. Merci à tous pour votre soutien. Deux autres collaborations à venir bientôt. I recognize you though Kakarot. That's right, that's your name. You are a space fighter. A saiyan warrior. Just Like Me. I'm Raditz, your big Brother. What's with your face, I don't like it. Alight hot shot it's showtime. You low class! Peasant fool! I'm the second strongest saiyan from the Planet Vegeta! I was commander and chief of the whole Saiyan army! You're just an inch compared to me. Say your prayers you traitor. Kakarot you are a strong fighter. But if you want my forgiveness, kneel down before me. And I will welcome you and your son as my comrades. Enough. And let me warn you, do not challenge me. Because I know where the fruit from the Tree of Might is. The difference between our powers is as different as Heaven and Earth. With the power I possess you don't stand a chance against me. You're going to die just like this planet. But I'll give a descent burial at least. After all you're a Saiyan. So the creatures on this planet are still alive. Fools. All of your planning is futile. You can whisper all you want but you're still going to die. You should listen to your big Brother. Alright then, have it your way Kakarot. I didn't come here to make trouble, but you give me no choice. I don't get it, he's like some sort of super fly. Somehow I need to squash him. Oh brother, making plans for a return huh, too bad. Cause you won't get that chance. Come on is that the best you can do. You're amusing me, don't give up yet. And if you're lucky I might spare your worthless life. Publié dans The Legacy of DBZ, Bande sonore #2, mettant en vedette Lux Aeterna Requiem for a Dream. Dodge this next attack if you can! But even if I miss you, this whole planet is going up in smoke! But you can't go? Not Now. Why not? Because I also have something to tell you about. I lied when I said you go, at least partially lied. For I will let you go---to another dimension!! But you'll have to pick it up a little to defeat me. Yeah, good Nappa. Let's go make fools out of them. Let's see what you've got Kakarot! Galick Gun FIRE! Was that enough for ya, huh, you want some more? Kakarot. Well, I should have known it was you. We meet again. Well surprise, surprise, this is our favorite part yaknow. You should see the looks on your faces. You should know better than to oppose Vegeta. That was no ordinary piece of work, he's good. If you don't tell me right now you're history. Oh my, where were my manners. I completely forgot to say goodbye. How could this be?! I don't understand, I'm a Super Elite! That does it, that's it!